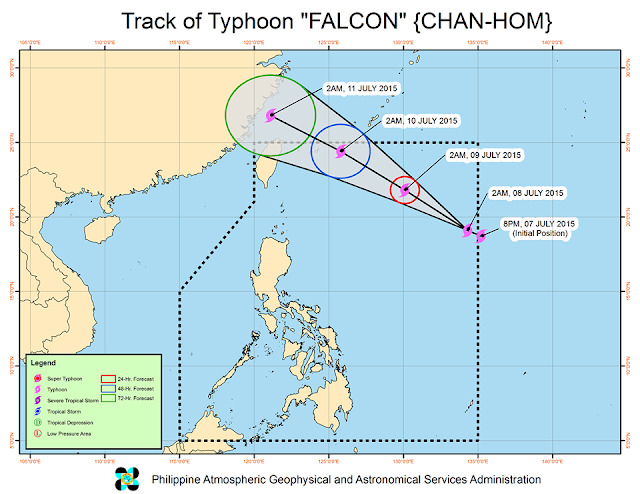 MANILA, Philippines - State weather bureau PAGASA on its 5:00am update released today, July 8, 2015 said that Typhoon Falcon, which entered the Philippine Area of Responsibility (PAR) on Tuesday night is now moving west northwest at 20 kph. 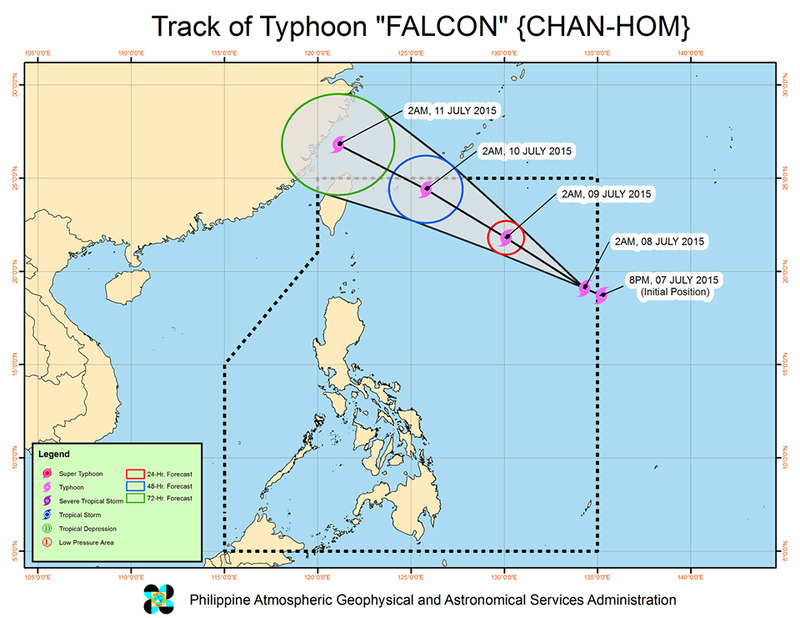 No public storm warning signal has been announced by PAGASA for Typhoon Falcon with international name of Chan-Hom at east of Luzon. At 4:00 am today, the eye of 'Bagyong Falcon' was located based on all available data at 1330 km East Northeast of Aparri, Cagayan or at 1335 km East of Calayan, Cagayan (19.3°N, 134.2°E) with maximum sustained winds of 130 kph near the center and gustiness of up to 160 kph. 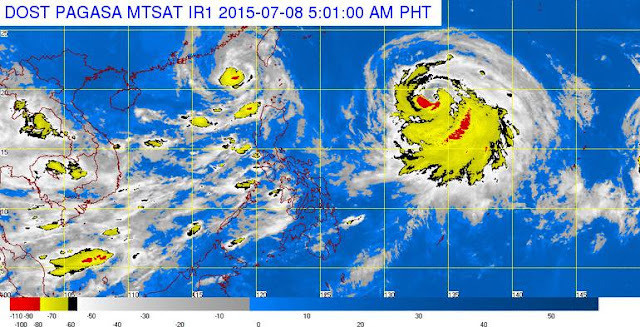 Meanwhile, Southwest monsoon (Habagat) is affecting Luzon. Monsoon rains which may trigger flashfloods and landslides will be experienced over the provinces of Mindoro, Palawan, Zambales and Bataan. Light to moderate rains and thunderstorms will be experienced over Metro Manila, Mindoro, Palawan and Western Visayas. Partly cloudy to cloudy skies with isolated thunderstorms will prevail over the rest of the country. Moderate to strong winds blowing from the southwest will prevail over the entire archipelago with moderate to rough seas. Fisher folks are advised not to venture out over the sea boards of Northern Luzon and western seaboards of Central and Southern Luzon.